You can allow your members to sign in to your community using their Google account. To start the process, go to AdminCP -> System -> Login & Registration, click Create New to setup a new login method and choose Google. You will now be prompted to fill in some details which you'll need to acquire by creating a "project" with Google. 1. Go to the Google APIs Console and sign in with your Google account. You may have created a project if you have enabled any other Google APIs. If you haven't, click Select a Project in the top-left corner and then create a new project. 3. 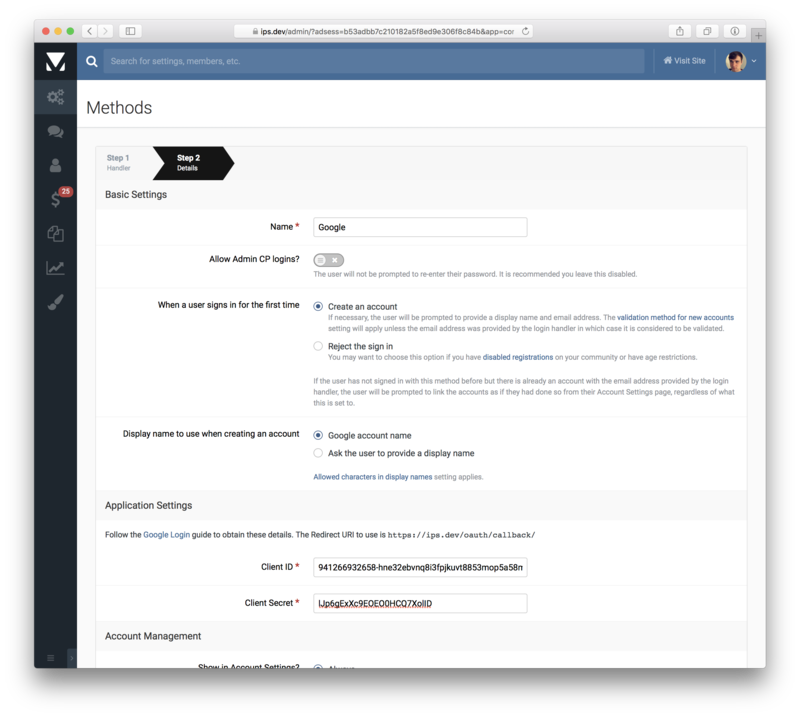 Go to Credentials -> OAuth consent screen and fill out the form. 4. Go to Credentials -> Credentials. Click the Create credentials button and choose OAuth client ID from the dropdown. Choose Web application as the type, and for the Authorized redirect URIs field, enter the value shown in your AdminCP. You will see a screen displaying a client ID and client secret. Back in your AdminCP, fill in the form, using the Client ID and Client Secret that you just obtained. 1. 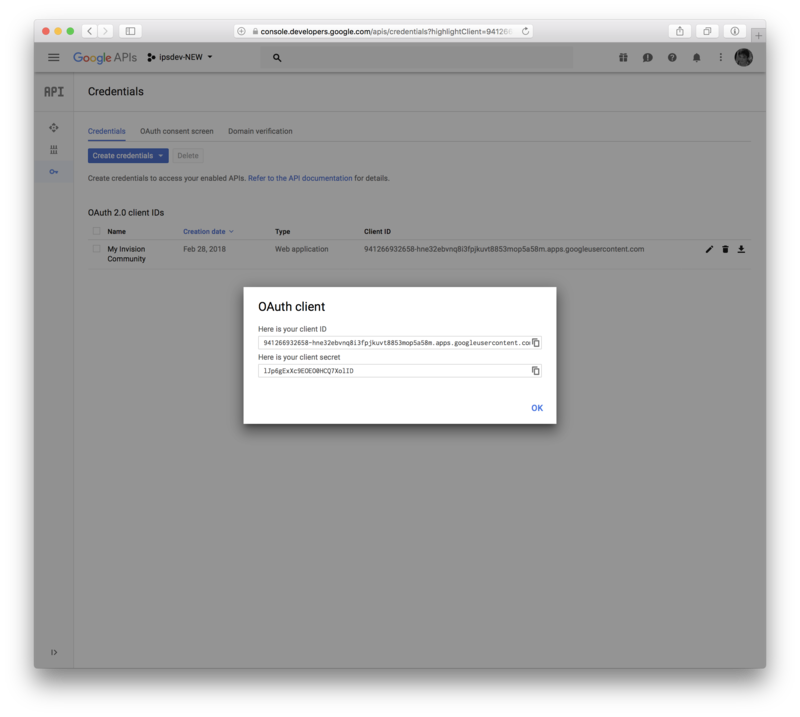 Go to the Google APIs Console and sign in with your Google account and select your google project. No further steps are required to switch to the new API as you already have credentials created from the previous setup.